BMW Is Bringing A Bunch Of Hybrids To New York, But No New M Models? Dodge will reveal the Challenger SRT Demon. BMW will be showing some new hybrids. This year’s New York Auto Show will no doubt be dominated by the long-awaited debut of the Dodge Challenger SRT Demon, a gas-guzzling, tire-smoking monster of a muscle car that’s about as environmentally unfriendly as you can get. 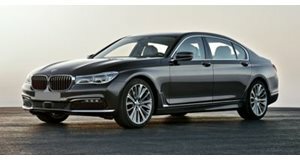 BMW, on the other hand, will be showcasing its new iPerformance family of plug-in hybrids, including the BMW 530e iPerformance, BMW 740e xDrive iPerformance, BMW 330e iPerformance, and BMW X5 xDrive40e iPerformance. Talk about a contrast. Recently revealed at Detroit, the latest addition to the line-up is the BMW 530e iPerformance, which is equipped with a 2.0-liter turbocharged, four-cylinder engine combined with an electric motor to produce 248 horsepower, 310 lb-ft of torque and a 0-60 mph time of 6.1 seconds. 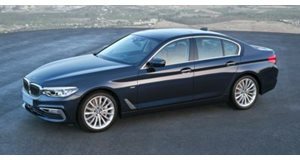 Compared to the current 330e’s 14-mile electric range, the 530e will last for 15 miles using electric power. Prices will start at $51,400 when the 530e goes on sale in the US this spring, and an xDrive all-wheel drive version will be available for $53,700. 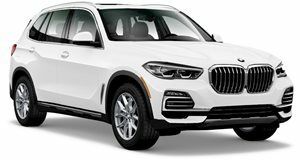 Also on display at the show will be the 740e xDrive and X5 xDrive40e iPerformance models, which use a turbocharged 2.0-liter, four-cylinder engine combined with an electric motor. In the 7 Series, the hybrid powertrain produces 322-hp and 369 lb-ft of torque good, while the X5 is good for 308-hp and 332 lb-ft of torque in the X5. Both have an electric range of 14 miles. It’s all part of BMW’s on-going push for electrification in addition to the current i3 and i8. As part of this strategy, future BMW M cars may also adopt hybrid powertrains to bridge the gap before going all-electric as the technology develops for performance cars.